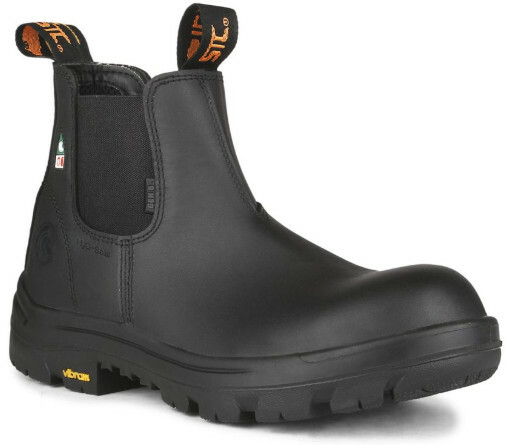 Waterproof leather upper with H2O Seal sealed seams. Ventilated and anti-perspirant padded mesh with antimicrobial® treatment. Removable Instant Comfort insole made of gel, PU and memory foam. Composite toe protector and puncture-resistant insole. Dual density Vibram GEN 6 outsole made of TC4+ natural rubber and comfortable lightweight PU core.